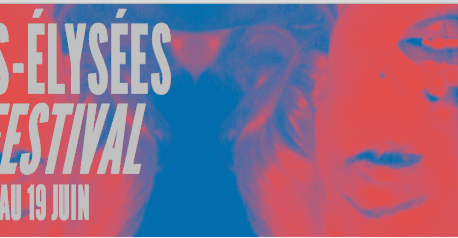 US & FRENCH CONNECTION is a year-round program created by the INDEPENDENT FILMMAKER PROJECT (IFP) in partnership with FRENCH IN MOTION, two organizations based in New York bringing together film professionals and talents. US & FRENCH CONNECTION is designed for creatives who want to produce international feature and documentary films, as well as series, for which they need partners on both sides of the Atlantic. The Program will be overseen by heads of program Amy Dotson & Nathalie Perus and Gabriele Capolino, Program Producer. • “We’re thrilled to launch this two-way program with our partners at IFP and Champs Elysees Film Festival. Even if there is no co-production agreement between France and the US, both countries share a common culture and unconditional love for independent films and auteur cinema. It’s the mission of US & French Connection to bring creators and stories together and open up ways for international creation.” – Nathalie Perus, French In Motion President. The selection is made upon a call for applications, in March for American projects and in May for French projects. The first workshop takes place in Paris, June 13-15, 2018, at the Champs Elysées Film Festival’s ‘Industry Week’. U.S. teams will meet with their French peers from the program as well as industry decision makers (producers, financiers, distribu- tors, sales agents, broadcasters, etc.) who can help move their projects forward. The second workshop takes place in New York at IFP Week September 15- 20, 2018, where French teams come to meet the American industry. – AU PAIR : Feature Film- Prod. And Dir. Jason Cortlund & Julia Halperin (‘Barracuda’, ‘Now, Forager’). An American woman searches for her adopted son, who has gone missing while trying to reconnect with his birth mother in rural France. – KIDS GO FREE TO FUN FUN TIME : Feature Film- Dir. Ben Hicks, Prod. Liz Cardenas (‘A Ghost Story,’ ‘Never Goin’ Back’). A young, adventurous couple struggles to evolve together – as they live in Japan, Taiwan, and Spain – over the course of ten years. – THE EXPAT : Feature Film- Dir. Daniel Laabs (‘Jules of Light and Dark’) Prod. Jeff Walker (‘Jules of Light and Dark’). One man’s terrifying retreat into another man’s lawless paradise of rum, survival and midnight shark fishing. – THE FIREBIRD : Feature Film- Writer Suzanne Egan, Prod. Amy Rapp (‘Return’, ‘Tower’), Nora Unkel, Devin Shepherd. During the Russian civil war, a runaway princess finds refuge at a ballet academy. As the red army marches closer, she searches for a safe escape while keeping her identity a secret. – THE GYMNAST : Feature Film- Dir. Charlotte Glynn (‘Rachel Is’, ‘The Immaculate Reception’), Prod. Mike Harrop (‘Bil- lions’, ‘I Smile Back’,), Brian Koppelman & David Levien (‘Billions’, ‘Ocean’s Thirteen’,’The Girlfriend Experience’). In a former mill-town devastated by loss of industry, a 14-year-old aspiring Olympic gymnast and her single father, a die hard “gym dad”, must fight to reinvent themselves after a potentially career ending injury.